Pictured: Gingerbread decorating at IA's December Happening. December 12, 2018. California State University, Los Angeles joins the consortium as our newest member of Imagining America. Welcome! 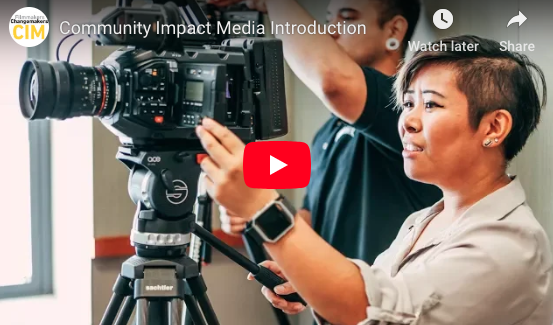 Among Cal State LA's collaborations with community organizations are its prison-based education programs (Project Rebound and Lancaster Prison Program) and Community Engagement Documentaries. IA is delighted and honored to welcome three new members to our board this year: Shannon Jackson, KerryAnn O'Meara, and Judy Pryor-Ramirez. IAStoryShare Episodes 7 and 8 now live! IAStoryShare is a project of IA where publicly engaged artists, designers, scholars, students and other community members share stories about their life and work. Check out UM's newest CaneTalks with Robin Bachin, Youthquake: New Politics for a New Generation, addressing the role of Gen Z in reshaping what counts as politics in America. Robin serves on IA's National Advisory Board. Frances Lee, PAGE Co-Director, seeks change that doesn’t rely on empathy, which can turn pain and suffering into a commodity. Read their thoughtful piece on The Seattle Globalist. Awakening Democracy through Public Work (November, Vanderbilt University Press) is a new book by Harry Boyte (Augsburg University) with contributions from global partners of the Center for Democracy and Citizenship at the University of Minnesota. Harry was on the founding board of Imagining America and has since been a partner and contributor to IA. He is the author and co-author of books on community and cultural organizing including The Backyard Revolution, Community Is Possible, Free Spaces, with Sara Evans, Building America, with Nan Kari, and Everyday Politics. The new book is available through the following link and at major retailers. IA is launching an end-of-year campaign! Please consider us in your 2018 end-of-year giving. Your contribution supports travel scholarships, conference programming, peer learning opportunities, and so much more. We thank you in advance for your participation and generosity, and wish you a joyful holiday season. • Participate today & consider donating to IA for your end-of-year giving before December 31, 2018. 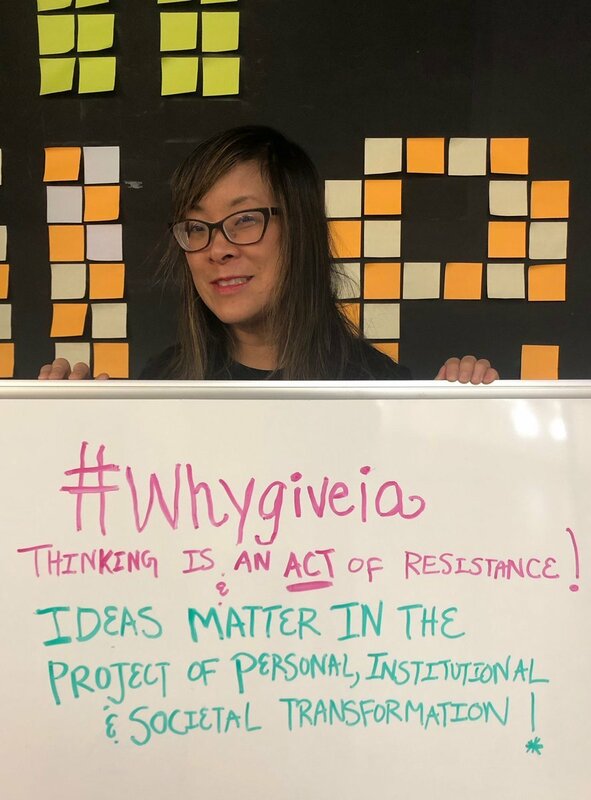 • Like, post, and share using the hashtag #WHYGIVEIA. • Tell us your #WHYGIVEIA story on Facebook or Twitter, and we will share it with our followers! Bringing Theory to Practice (BTtoP) is pleased to announce a new funding opportunity for colleges, universities, and other higher education organizations. Grant awards of up to $7,000 will support multi-institutional collaborations that advance—through innovative practices, programs, policies, or research. BTtoP invites multi-institutional grant proposals grounded in these basic commitments: to the education of the whole student, to equity and inclusion, and to the imperative for creative innovation. Proposal Deadline: Monday, February 4, 2019. Awards Announced: By Friday, March 15, 2019. The 2019 Civic Learning and Democratic Engagement Meeting (CLDE19) is a conference intended to facilitate exchanges of knowledge and develop a sense of community around our shared civic learning and democratic engagement work. CLDE19 invites proposals for this year's conference. Proposal Deadline: Thursday, January 31, 2019. MacDowell Colony, a leading contemporary arts organization, is offering a fellowship for artists of all disciplines and backgrounds. The Colony accepts applications from artists working in the following disciplines: architecture, film/video arts, interdisciplinary arts, literature, music composition, theatre, and visual arts. In this news article, UC Davis Humanities Institute shares the current and upcoming work of the Mellon Public Scholars Program. The Mellon Public Scholars will work closely with IA staff and national IA consortium members on a project related to the 20th anniversary celebration of the organization in 2019. Singers, poets, and emcees: Come share your artistry at Open Mic Nights@MC. In partnership with campus group Sacramento Area Youth Speaks (SAYS), the Mondavi Center hosts a quarterly Open Mic Night for UC Davis students, faculty, staff and community youth. Hosted by MC CoCo Blossom with DJ Lady Char. Come ready to perform, support friends, or just enjoy the free show. To close out the year, IA hosted a holiday-themed Happening on December 12th. The IA Community Room was crowded with new and familiar faces of friends from around Davis and the region. Thank you all for coming and bringing your holiday cheer! We enjoyed making crafts and sharing refreshments with you all. The Feminist Research Institute at UC Davis is seeking a Communications Manager to amplify the reach and impact of feminist research. The Communications Manager will be responsible for designing and implementing an strategic communications plan that grows FRI's relationships with allied individuals and organizations within UC Davis and beyond. This includes identifying new audiences and potential partners who share our commitment to research-informed social change. This position is half-time, with full UCD benefits. Link. The primary function of the Community Learning Specialist is to work with Whitman faculty and staff to create and help implement academic courses and other significant learning initiatives which facilitate increased interactions between campus and the Walla Walla Valley. We are particularly looking to bring on someone who possesses an understanding of realms of cutting edge knowledge and practice such as social entrepreneurship, community-based participatory research methods, public scholarship, archives and curations, digital production, anti-oppressive frameworks, participatory action research, applied research, and social practice. Link. The Service Learning & Social Action faculty will serve as the SLI point person for the newly redesigned lower division Civics/Service Learning course. The new course is designed to give students the opportunity to become personally involved in a community issue, while more deeply understanding their individual rights and responsibilities, along with the civic and political structures that govern action in our society. The course covers American political institutions, the United States and California constitutions, social group identities and the dynamics of power, privilege and oppression, and the skills of civic action. In addition to teaching multiple sections of this course, the faculty person will play a leading role in supporting professional development for this new GE requirement campus-wide. The Service Learning & Social Action faculty will also be able to teach courses as part of the Student Leadership in Service Learning Program, and the Minor in Service Learning Leadership. Link. The Imagining America consortium (IA) brings together scholars, artists, designers, humanists, and organizers to imagine, study, and enact a more just and liberatory ‘America’ and world. Working across institutional, disciplinary, and community divides, IA strengthens and promotes public scholarship, cultural organizing, and campus change that inspires collective imagination, knowledge-making, and civic action on pressing public issues.